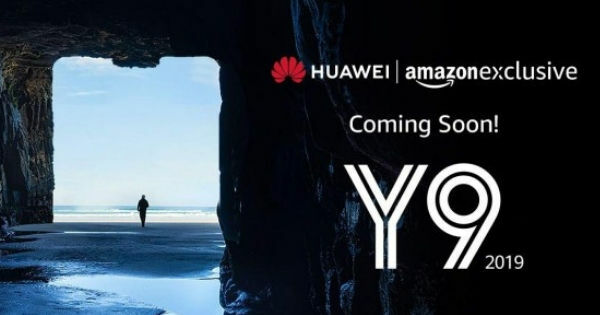 Huawei expanded its Y-series of smartphones with the launch of the Y9 2019 in China back in October 2018. The smartphone featured the HiSilicon Kirin 710 processor, a large display and a beefy battery. Now, it seems that the phone is all set to launch in the Indian subcontinent as Amazon India has put up a teaser page for the same. However, the landing page doesn’t reveal the launch date or pricing of the smartphone as of now. To recap on the spec sheet of the Y9 2019, the smartphone comes with a 6.5-inch display featuring a full HD+ screen resolution (2,340 x 1,080 pixels) with a notch up top and 19:9 aspect ratio. The display ships with TUV Rheinland certified coating that protects user’s eyes from blue rays. For performance, the budget smartphone gets the octa-core Kirin 710 SoC ticking at its core. The processor also comes with Huawei’s GPU Turbo feature for enhanced gaming performance. In China, the Y9 2019 is available in two RAM and storage configurations – 4GB + 64GB and 6GB + 128GB. It remains to be seen if both the variants lands in India. For security, the glossy back panel of the smartphone houses a circular fingerprint scanner. On the imaging front, the Huawei Y9 2019 is one of the few devices to come with four cameras in the budget segment. The rear panel of the handset is home to a 16-megapixel f/2.0 camera backed by a secondary 2-megapixel f/2.4 sensor. For selfies and video calling, you get a 13-megapixel f/1.8 snapper with a 2-megapixel depth sensor. On the software side of things, the Huawei Y9 2019 boots the Android 8.1 Oreo-based EMUI 8.2 interface out of the box. As for the power requirements, the smartphone relies on a beefy 4,000mAh battery that supports 10W fast charging. For connectivity, the phone offers 4G VoLTE, Dual SIM, Wi-Fi, Bluetooth 5.0, 3.5mm audio jack, micro-USB 2.0 port and GPS. We will bring you more updates regarding the launch date and pricing as and when Amazon India page is update, so stay tuned.